Following this week's (this week's! How we mark these things now) gun massacre in the United States, the usual response swings into place, so rehearsed by now it might as well be scripted. Footage of terrified victims being evacuated, local officials giving statements; President Obama addresses the nation looking grave; and the issue of gun control is raised again. The pro gun lobby will argue that the problem here is mental illness, not access to guns (although in this latest shooting, given the perpetrators were Muslim, it is of course being labelled terrorism); gun control advocates will favour reigning in America's absurd appetite for firearms, pointing to the Australian example, where following the Port Arthur massacre in 1996, a guns buy back was enacted, tough new guns laws enforced, and there have been no mass shootings since. I'm not an American and have stopped trying to get involved in their gun control debates; Lord knows, there's enough frustrating and overwhelming social problems here for me to worry about. (Besides, it's hard to escape the depressing conclusion someone posted on Twitter - that the US gun debate ended after Sandy Hook; that once killing kids became acceptable in the name of gun rights, it was all over). But by the FBI definition of a mass shooting as the deaths of "four or more persons during an event with no cooling off period", then there has been a mass shooting in Australia, little more than a year ago. And with the increased awareness of domestic violence following Sarah Ferguson's brilliant Hitting Home documentary series, it would add insult to tragedy if their deaths were written off as simply due to a "domestic incident". 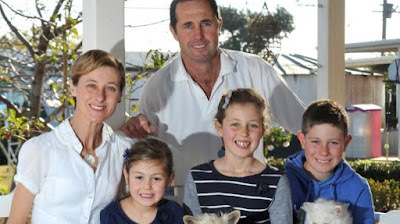 We shouldn't forget about the Hunt family - Kim, Fletcher, Mia and Phoebe - murdered by the man who was supposed to love and protect them, their father, Geoff. The facts are stark. 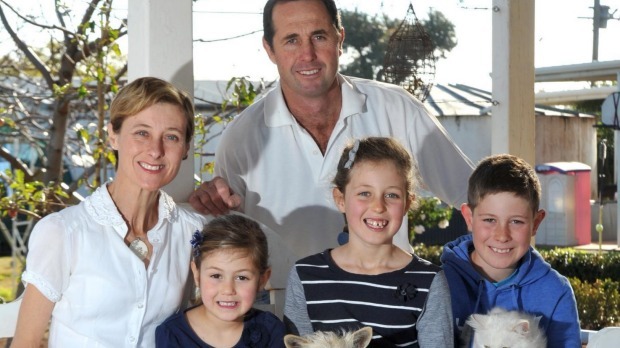 On the night of 7 September 2014, Geoff Hunt shot his wife Kim, son Fletcher, 10, and daughters Mia, 8, and Phoebe, 6, to death at their south western NSW farmhouse before committing suicide at a nearby dam. The narrative which followed was galling. Geoff Hunt was described over and over as a lovely guy, a family man, who just snapped following the pressures of caring for his wife Kim, who sustained a traumatic brain injury in 2012. He was portrayed as lovingly caring for his children whilst she struggled with mood swings and rage. How much Mrs Hunt struggled with her injuries, or that her disabilities made her more vulnerable to domestic violence, were seldom mentioned. Nor that Mr Hunt was not making a loving sacrifice on the last night of his family's life, but an egotistical decision to slaughter them all that points to a sense of male entitlement at the heart of so many domestic violence cases; I own you, I control you, you belong to me and I will make decisions of life and death on your behalf. Pain and despair may have driven Mr Hunt to suicide; ego and rage caused him to take his family with him. Not everyone has ignored the true horror of what this man did to those who trusted him most. The NSW Coroner Michael Barnes, in the recent inquest into the deaths, stated, "Massacres must not be swept under the carpet merely because they occurred in the home of the deceased at the hands of a family member...What Geoff Hunt did was inexcusable, the absolute worst of crimes". There's also this excellent piece from Nina Funnell. But their story is still framed in the national discourse, for the most part, as the heroic Dad saving his family. In writing this post, I don't for a second want to give ammo to opponents of gun control ("An Australian says their gun control laws don't work!". But largely the deaths of the Hunt family have been swept under the carpet, because they happened at home, out of sight and unseen. 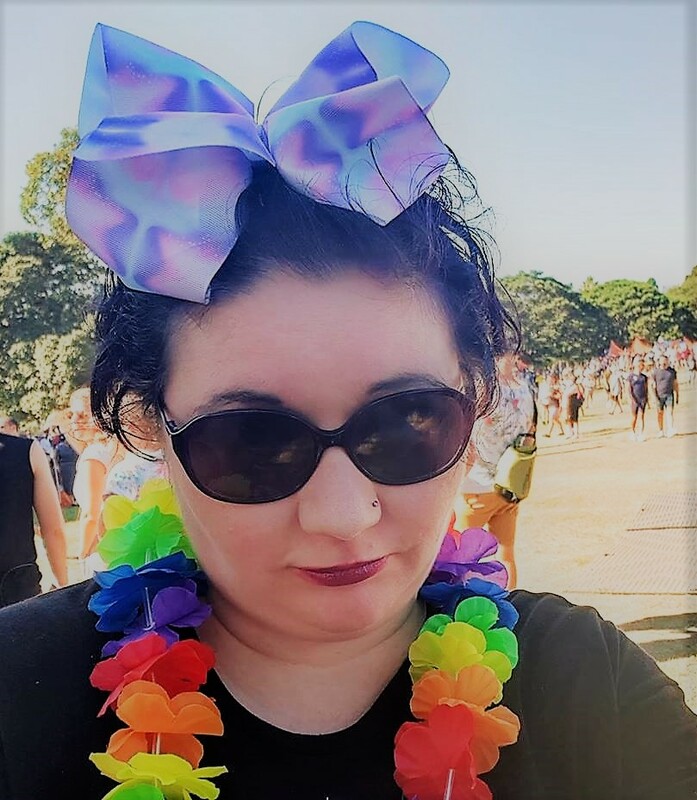 If a mother and her three children were shot in some public area, maybe in the Sydney CBD there would be floral tributes, services at the major cathedrals, the Premier in attendance at a candlelight vigil. The Hunt family died alone, died hidden, their deaths seen as a family tragedy not a mass murder, and only made worse by pretending they never existed.